However! I do still have some swatches that I managed to get done before "the break that ruined my weekend". And it's a super fun one send by the lovely Sisi from Color4nails--Celestial Cosmetics Gosh! 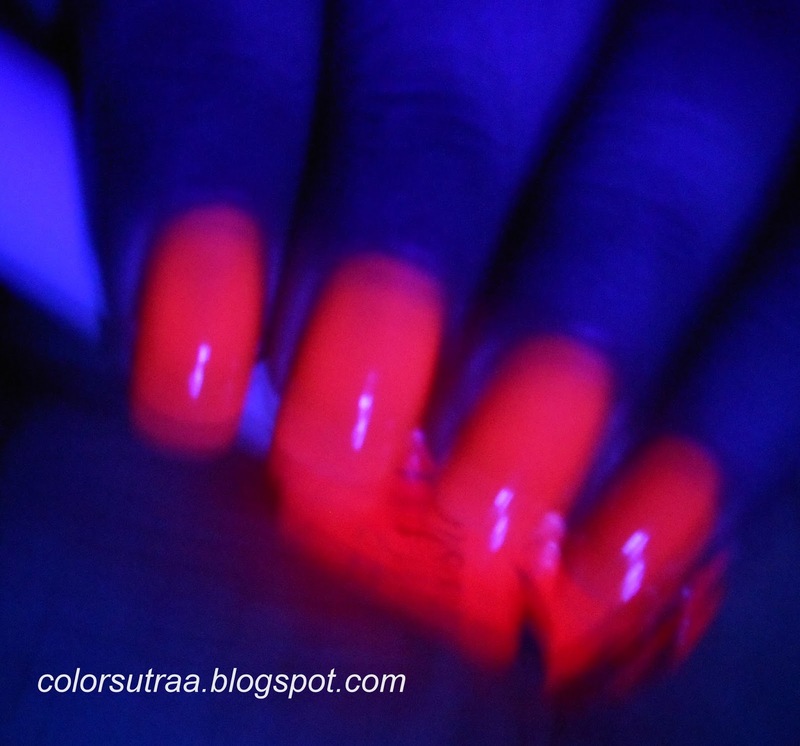 which is a UV-light reactive polish! As pictured above, Gosh is a bright, neon coral pink jelly with small black stars that come in its own little container! No more fishing for glitter, you can place the glitter as you like! In fact, don't feel like glitter, no worries! You can wear the polish on its own! For the swatches below, I used 3 coats of Gosh! The application on this is perfect--just the right consistency for a good jelly. The formula goes on a little sheer so at least 3 coats are needed for full opacity or you can layer this over your favorite opaque shade. With flash which shows the coral undertones better! Love glitter but hate the hassle of fishing for stars? So do I! 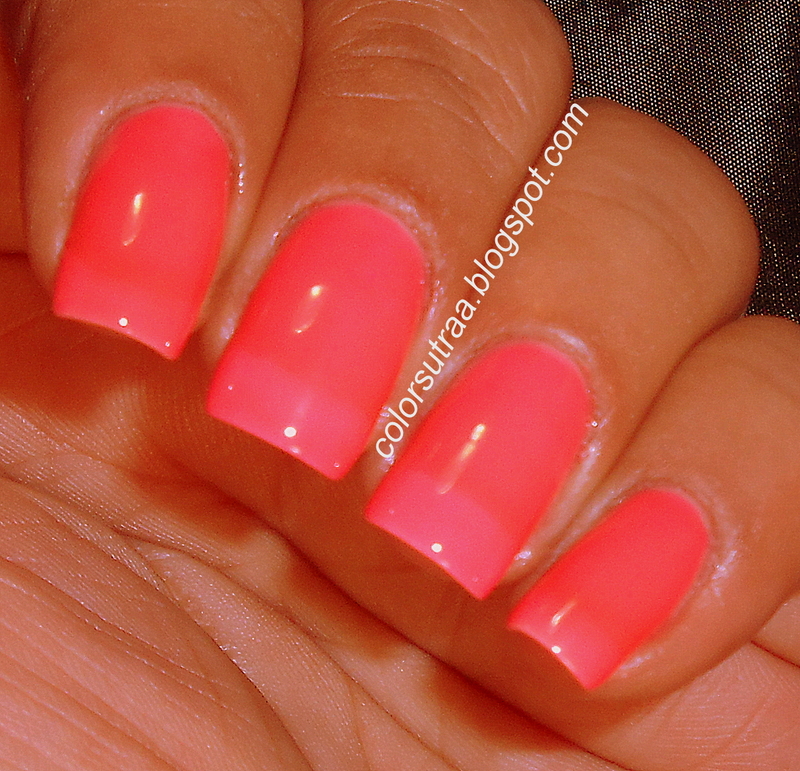 This polish eliminates the need for that! The little black stars come in their own little container and you can place as many or as few stars as you like! In the swatches below, I used a slightly dampened finger to align the stars as I wanted while the base polish was still a little tacky. Then, I applied 1 coat of G&G's HK Girl to the index and ring fingers to seal the look. For the middle and pinkie fingers, I used 1 coat and 2 coats of Gosh! respectively to seal the look. 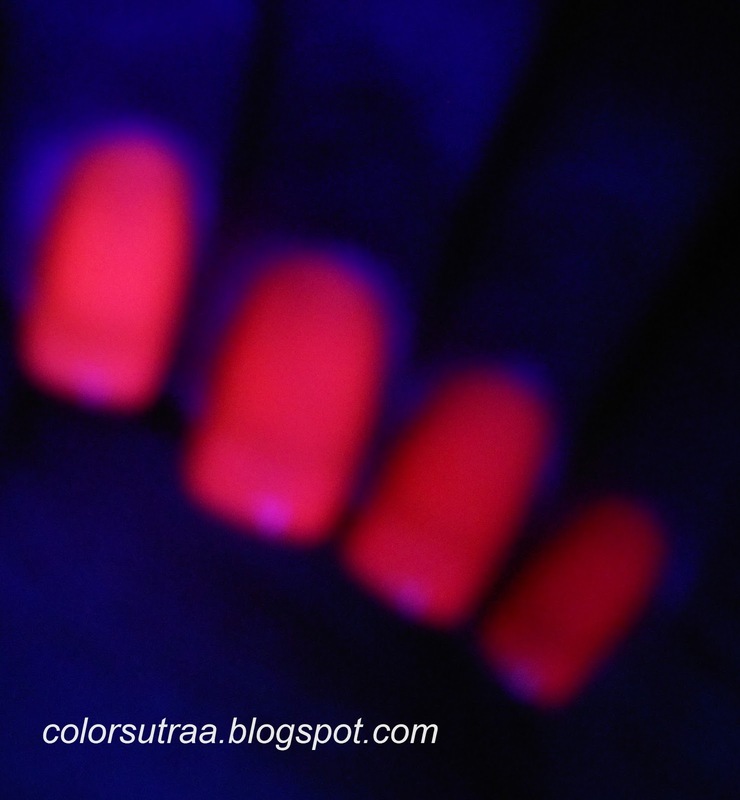 Finally, let me show you how this looks under UV light, with and without the flash! Now, keep in mind, my camera freaked out a bit from the effect of the UV light so I apologize for the slightly blurry pics! I still felt they were cool enough to show you!